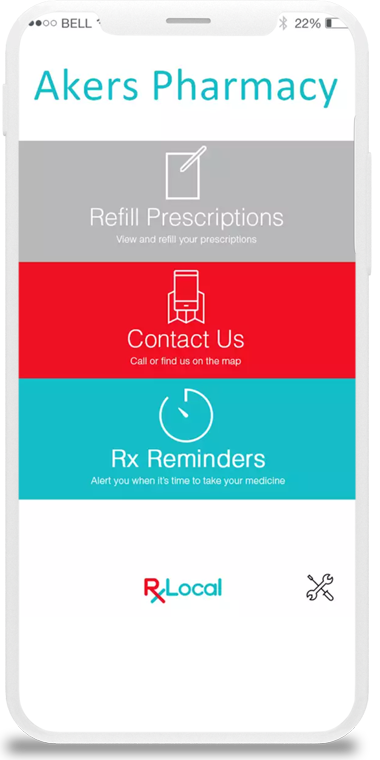 Akers Pharmacy is featuring their app for their current and potential customers. Go to Google Play or the Apple App Store and download our Mobile App. 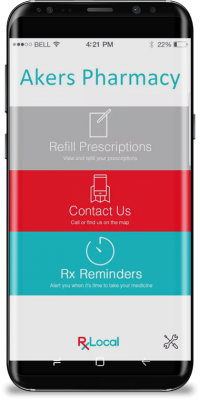 With our app you can refill your prescriptions quickly and easily. Also, you have access to your Medication profile which allows you to view the last time you got your medication filled and other important info.